their environment. 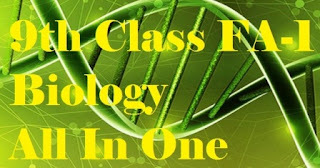 Biology encompasses a broad spectrum of academic fields that are often viewed as independent disciplines. Together, they study life over a wide range of scales. shoots, with their tips curved in, symbolising growth, a feature of all life.